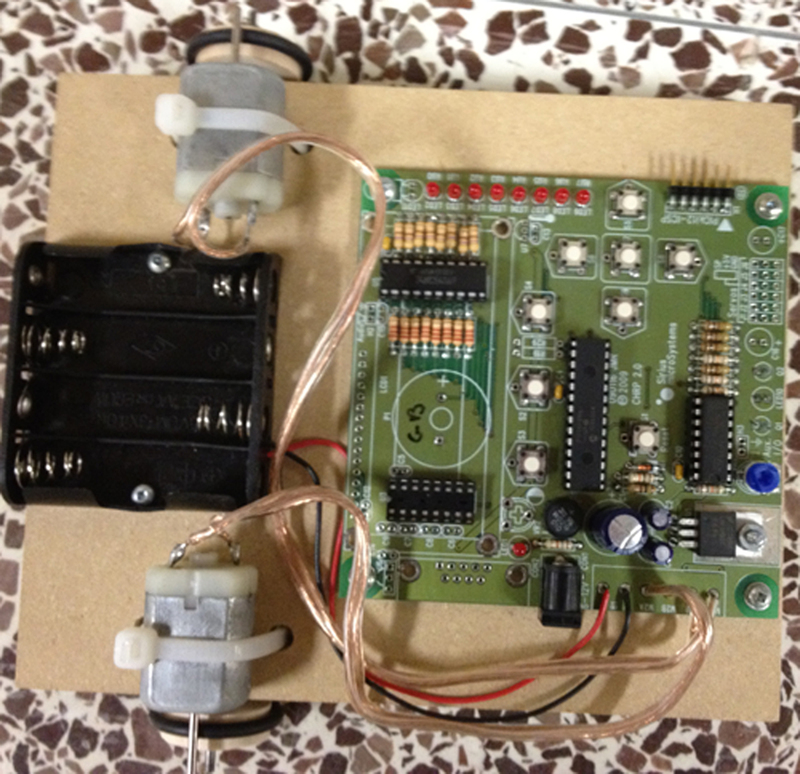 This CHRP (Common Hardware Robotics Project) is a development system that I built, to test code for microprocessors. It is based on the schematics provided by my teacher, John Rampelt, at siriusmicro.com. It uses a PIC 16F886 microprocessor. I have used it to test code to flash lights, count numbers, follow a line, and debug my universal remote control project. All these programs written in assembly code.